Wait, APRIL wrap-up? Didn’t I just do one for March? Yikes! It’s been a fast month. I was gone quite a bit, and busy when I was home, so I didn’t get much sewing done. I barely sewed on my son’s Houndstooth quilt. Yeah, that one that was going to go so quickly. And no, it’s still not done. The kid will graduate before he ever gets it, at this rate. It’s a shame he’s never gotten a quilt when I promised it to him. Fortunately, he knows the drill and is very patient. I made one tiny little Periwinkle block, just because I felt like it. There will be a quilt of these one day, they’re super-easy and quick. Missouri Star Quilt Company has a great little template for them, if you’re interested. It’s sized just right to use with charms. No affiliation, I just noticed they had one and thought it might make life easier! I’d show you a photo of this block, along with a bunch of other odds and end, but somehow they’ve gone missing. No doubt they’re hiding in a stack of something. Did I mention that I did not clean my workroom? I also made a couple of reproduction Album (or Chimney Sweep) blocks and six Snowflake blocks. I was giving my signature quilts lecture for MOKA, and decided to ask for attendees to make blocks for me. (Why didn’t I think of this sooner?) I gave them the choice of an Album block, using this pattern, or a fat Snowflake block (to be hand-quilted and individually bound, in the potholder style). I made the blocks just to show, and to test my patterns before I passed them out. Yes, that is a squirrel. Sadly, his big fat nose sort of makes him look like a koala with a busy tail! About potholder blocks…do you know about them? My friend Pam Weeks has done extensive research into quilts finished in this style. She gives them quite a bit of coverage in her book (written with Don Beld), Civil War Quilts. If you’re interested in quilts of that era, the book is a must-have. Not only is there research and history, but patterns for many of the common blocks used in quilts in this style. Pam also includes some valuable pages detailing the use of current reproduction fabrics in making an accurate representation. I found the pieces to a reproduction quilt I made while I was cleaning up one day. I made this top, which is a sort-of reproduction of the Ziegenfuss quilt in the International Quilt Study Center, about which my friend Cinda Cawley lectured years ago. Cinda has since died, but I think of her anytime I read of antique Pennsylvania quilts. Antique quilts from Pennsylvania have a look unlike any other, and I really love the way they use color! The four quilts I sent out to be quilted came home (and I am thrilled with them!). I’ve only gotten the binding sewn on one, and, because I was doing it in a hurry, I didn’t realize that I stitched the whole thing with my needle one notch to the left. So…yeah, on an already narrow binding, that extra wide seam isn’t going to work. Sigh. Meet my buddy Jack. You know, Jack. The Ripper. Will get photos of those quilts up soon, as soon as I get bindings on. Don’t hold your breath though, it might take a while. I’m hoping May proves a bit more productive than April was. 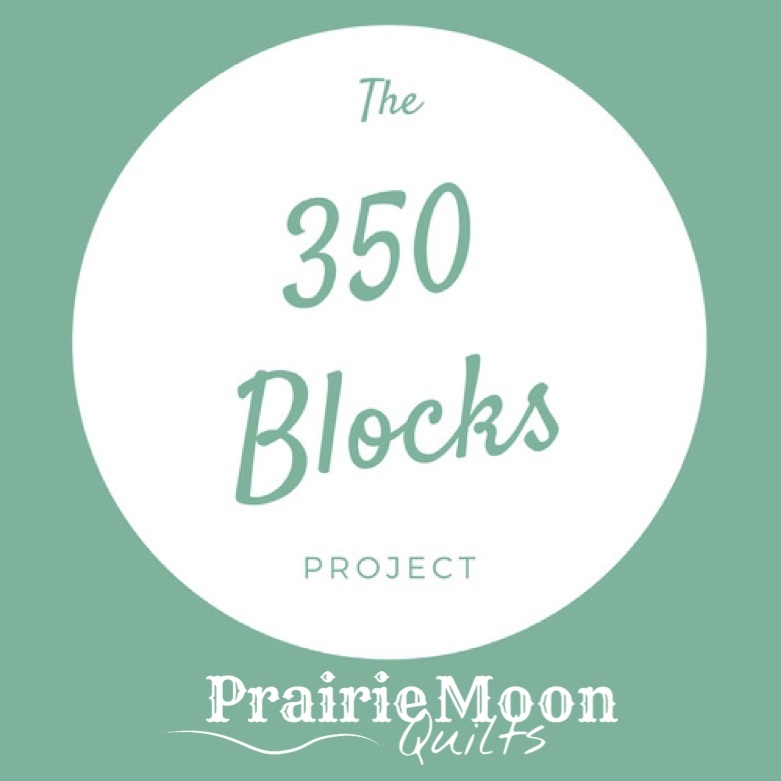 My total toward the 350 Blocks for the month is only 26, my lowest number this year, I think. But my total for the year so far is 489. Go me. How many blocks did you make?